One thing to remember as a teacher of students in grades K through 12 is how difficult it is for many children and teens to socialize. Often, they do not like school because of how they relate to their peers–not because of their teachers or the work. Not only is it an educator's job (regular classroom and special education) to teach the curriculum and provide a safe learning environment, but it is also important for an educator to provide social skills and opportunities for students to relate to one another. This is particularly important if you have a student with Asperger Syndrome in your class or on your caseload. Students with Asperger Syndrome often do not realize that they have poor social skills. Asperger Syndrome education is important for you as a teacher to realize that your student may have trouble when working in groups or playing with students on the playground; but sometimes, they do not know why they are feeling upset when working with peers. As a special education teacher or regular elementary teacher, one of the best things you can do is provide instruction and practice in socializing for your student. These treatments are easy to do in a classroom setting. Eye contact is often difficult for students with Asperger Syndrome. When working with peers, the student may not look at group members or buddies while they talk. This could be simply because these children do not realize the importance of eye contact until someone explains and shows them this skill. Once students are instructed in the skill of eye contact, you need to provide practice in a safe setting. This is a good task for paraprofessionals or maybe high school students who volunteer in your room for service hours. Give your students a cue, which they are comfortable with, if they are not using eye contact. This will serve as a reminder that they need to concentrate. This could be as simple as holding up a yellow index card as a visual cue. Waiting their turn is a social skill students need to learn in small and large group settings. These students often do not understand that they must wait their turn to talk or give an answer, especially if they have something to say when working with peers. When you are setting up a classroom and your rules, you will want to provide instruction and practice for a student when it comes to talking with a buddy, working with a small group, and participating in class discussions. Students with Asperger Syndrome tend to interrupt and blurt out. So, they will need to learn social cues. For example, they will need to learn that when someone pauses and looks at you, this is when you answer them or raise your hand to speak in a group setting. Each individual student may have their own social challenges to overcome, so you will want to work with the special education team, the student, and parents to brainstorm solutions and chances to provide opportunities. Students with Asperger Syndrome may need a place where they can go to regroup, and it's important to realize this when you are considering the student's education. These students can often have a sensory overload that causes them to become very upset. When setting up a classroom, think of places where your student can go to calm down and refocus his/her energy. These safe spots are sometimes in another room if your room is small. 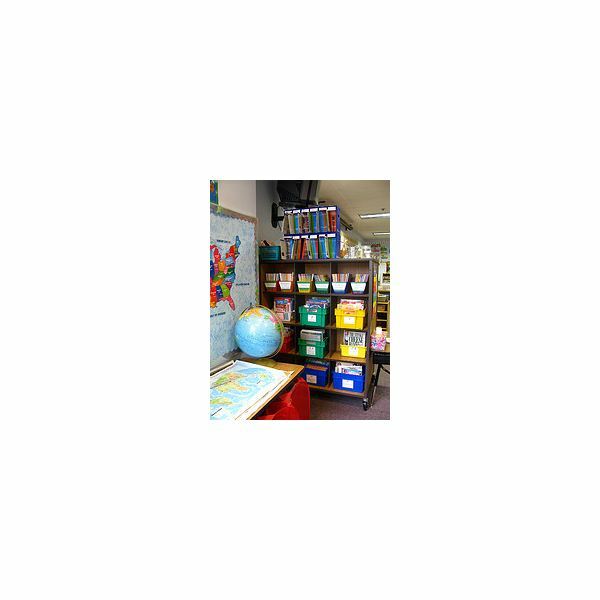 The safe spot might contain favorite snacks, books, or other items related to the student's interest. When students are practicing their social skills, they should also be allowed some time to regroup in their safe spots because this is hard work for them. Other students in your room must learn to respect and ignore a student's safe spot. Although you may already feel overwhelmed worrying about meeting curriculum goals, taking time to focus on emotional intelligence issues and social skills for your students will benefit you and them, and even more learning can take place then.